New York City Performing Artist who creates new work, entertains, writes, sings and dances to the beat of her own drum. A clip of Rebecca Merle as Marisol Santiago in Writer / Director, Dan Stone's premiere dramatic feature film, GOOD FRIDAY, starring Jordan Lage and Timothy Stickney pictured with Danny Binstock as Lucas Cole. On-Camera & Voice Over Reels available on the Reels & Gallery page. 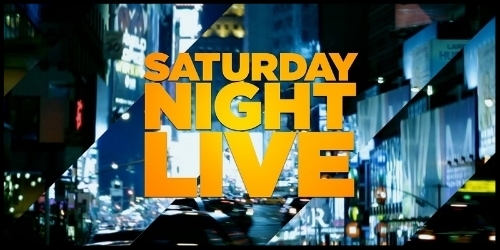 Happy to be back in the mix with cast and special guests for sketches on Season 44 of Saturday Night Live in Studio 8H at NBC Universal in New York. Bronx SIU premieres July 19th, 2018 on UMC.tv and Amazon Prime! Catch Rebecca as Ashley in Episode 2: Archangels - comes out Thursday, July 26th, 2018! Rebecca's busy processing the world and making things between work on acting gigs. Rebecca completed work on the feature film THE IRISHMAN, which wrapped production 2018. She's absolutely thrilled and humbled to have been a small piece of a fantastic creative force and of (soon to be) cinema history. Rebecca is a dancer on two upcoming episodes on Season 6 of The Americans, the first episode and the first episode of the season airs on the FX network on March 28th, 2018. Rebecca plays Ashley on the new media show Bronx SIU starring Brian J. White and Shanti Lowry. She's grateful to bring light to some of life's more challenging social issues that have had influence her own life. Rebecca plays Marisol Santiago in the dramatic indie feature film GOOD FRIDAY, which premiered at the Long Island International Film Festival last summer. The film stars Timothy Stickney (Blue Bloods) and Jordan Lage (Madam Secretary). Pictured above with Danny Binstock as Lucas Cole. Rebecca is cast as Mrs. Sandoval in the upcoming feature film THE TRUTH OF MISS MARSHALL with Dewanda Wise (Netflix's She's Gotta Have It) and Hisham Tawfiq (NBC's The Blacklist) attached. Click here to follow truthmarshall on Instagram for project updates! Rebecca had a fantastic time at NBC working on Saturday Night Live this season and is featured in several episodes including the Neurotology Digital Short pictured above! Rebecca brought life to the woman in Hemingway's "Hills Like White Elephants" for the students of Columbia University's writing program. Rebecca had a blast reading scenes from Yvonna Russell's THE BILLIONAIRESS in the title role of Estefania Di Parerga at INTAR's Monday Night Salon! Rebecca is back in the mix this season on Saturday Night Live bringing sketches to life for live audiences and viewers along side the cast, crew, and weekly special guests in Studio 8H! Rebecca was cast as Marisol Santiago in the feature film GOOD FRIDAY in New York! Rebecca plays Mrs. Smith in Judit Papp's short film EDIBLE completed and making rounds for festivals! Rebecca's stand up was featured in showcases at Comedy Cellar and at Stand Up NY! Rebecca was special guest on WBCN radio's The Carolyn Fox Show - hope you didn't miss it! Rebecca served as a judge for the Academy of Motion Picture Arts & Science's 41st Student Academy Awards in New York City! Rebecca takes a muffin break on Inside Amy Schumer! Rebecca played Lara in the short film WHO IS GENOVESE MENDOZA? Rebecca plays the Sleep Gym Nurse on Inside Amy Schumer, which aired on The View, Conan & Comedy Central. Rebecca is featured in multiple episodes of the first season of the FOX Series The Following starring Kevin Bacon & James Purefoy. Rebecca as a stage actress on ABC's 666 Park Avenue.